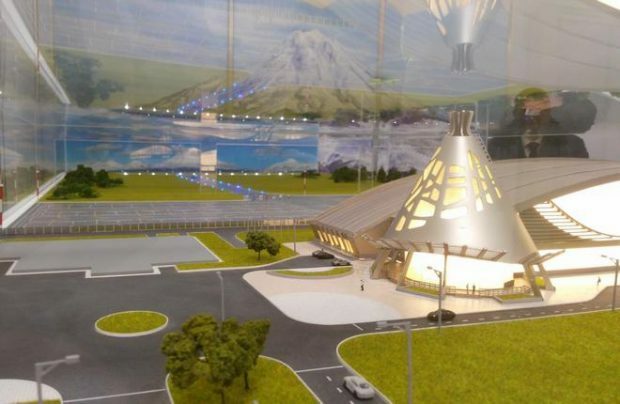 Airports of Regions, a Russian airport management holding, has won a tender to modernize Petropavlovsk-Kamchatsy’s Yelizovo Airport serving Kamchatka Peninsula in the country’s Far East. The company will build a new passenger terminal and a number of infrastructural facilities at Yelizovo. It will also manage the airport after the project has been completed. The terminal, to measure over 30,000 sq.m. in area and have several jet bridges, will have an annual throughput capacity of 1 million passengers. A hotel for 120 keys and a commercial center will be erected adjacent to the terminal. An investor agreement for the construction of the new terminal will be signed on the sidelines of the Eastern Economic Forum, to be held in Vladivostok on September 6 and 7. The massive reconstruction effort, which will cost private investors over 7 billion rubles ($121.8 million), is expected to transform Yelizovo into a modern transport hub and the center of a new tourist cluster. “Kamcatka holds great potential for both domestic and international tourism, which largely depends on the development of hospitality infrastructure,” Airports of Regions said in a statement. “The project will foster this development in several ways: there will be a new terminal and high-quality accomodations, and also a platform for holding conferences and business events.” The new complex is to become operational by 2021. The tender was announced by Development Corporation of Kamchatka in the beginning of June. Kamchatka Governor Vladimir Ilyukhin commented that Airports of Regions had won by offering the highest price per share, the most sizable investment, and the construction of ancillary infrastructure. The other bidder was Novaport Invest, which is owned by the airport operator Novaport. Yelizovo, with its single 3,400-meter-long runway, is the only airport in the region capable of receiving heavy aircraft. The existing pasenger terminal was built half a century ago. It is being partially renovated; the airside waiting hall has been expanded and some areas refurbished. The runway was renovated, and a new ATC tower became operational, in 2016. In the first half of this year traffic throught Yelizovo grew 7.1% to 263,400 passengers, according to the Federal Air Transport Agency. The number of aircraft movements increased 3.2%. The airport currently ranks 39th in Russian airports by traffic, down from 35th position in 2016.